The Galaxy C9 Pro is making the jump to Android 8.0 Oreo in China. It seems the update was released at the beginning of August, but we missed it at the time. The update first went out to the unlocked model and it has now been released for the China Mobile variant. The software version is C9008ZMU1CRG8 for the China Mobile variant and C9000ZCU1CRG6 for the unlocked model. Both come with the July 2018 security patch. The Galaxy C9 Pro Oreo update includes most of the new features and changes as seen on other Samsung phones. These include a new keyboard with high-contrast themes and GIF support, new Always On Display clock styles and customization options, ability to quickly access some functions by long-pressing an app’s icon on the home screen or app drawer, notification badges, and auto-repeat and 2x playback speed options for the inbuilt video player app. Oreo also limits background services from waking up too often in order to improve performance and battery endurance. When will the C9 Pro Oreo update arrive in other countries? Well, Samsung’s recent roadmap for the India, for example, pegged it for a January 2019 release, so it could be a while before availability is expanded outside China. But it could arrive much sooner as well, as Samsung’s roadmap keeps changing often. If you own a Galaxy C9 Pro, you will just have to be patient. The Android 8.0 firmware for the Galaxy C9 Pro in China can be downloaded from our firmware section. 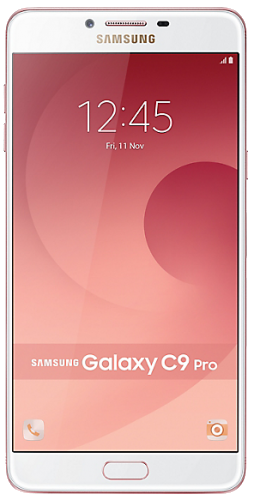 samsung C9 pro C900Y already receive android 8.0.0 oreo a few day ago via OTA. security patch 1 august 2018. Iam eagerly waiting foe this oreo from july month..when will release oreo for C9pro in india..? ?